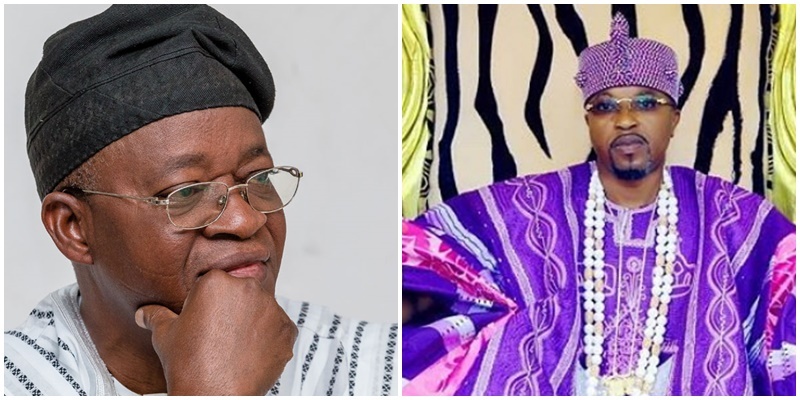 The Oluwo of Iwo, Oba Abdulrasheed Adewale Akanbi, has said going by the present economic and financial realities in Osun State, the state is sick. The first-class king made this disclosure during Engineer Ademola Adedapo’s annual secondary schools quiz competition held in Iwo. Oba Akanbi said: “Osun may find it difficult to pay wage bill. The government should overhaul the civil service. Osun will never rise if there are two vehicles to 30 drivers. The civil servants should upgrade themselves so that they can be more productive. “We have a problem in Osun and we have to shout and tell the world that we are sick in Osun. We need a medicine and we have to find the medicine for Governor Oyetola to be successful. He is a politician and it may be hard for him to even say what I am saying now. I can say it because I am a traditional ruler, who believes in the truth.It is just the truth I am telling you. We need to upgrade and update our civil service to be ICT compliant and we have to create a way to find other jobs for them in the civil service. “With what is going on in Osun, we don’t have the money. I am in this government and it doesn’t matter because I am a traditional ruler. I have to be concerned on how government can succeed.“We have so many workers for some jobs. I am not telling them to retrench, but government should find some ways out of this situation. How much is the allocation of Osun State in a month? Can it pay the wage bill or salary? Civil servant themselves should be more creative. Civil service is the largest employer of labour in this state and the IGR is nothing. We need to create more IGR.